Find links to Palestine Portal’s newsletters and action alerts here. • Newsfeed 2 – stories from Ma’an News Agency, The Palestine Chronicle, and reading recommended by The Jerusalem Fund. See our Home Page for recent newsblasts and action alerts from the Portal community. Visit our Action Alerts page for more action opportunities. Visit our Coming Events Page for upcoming events related to Israel/Palestine. 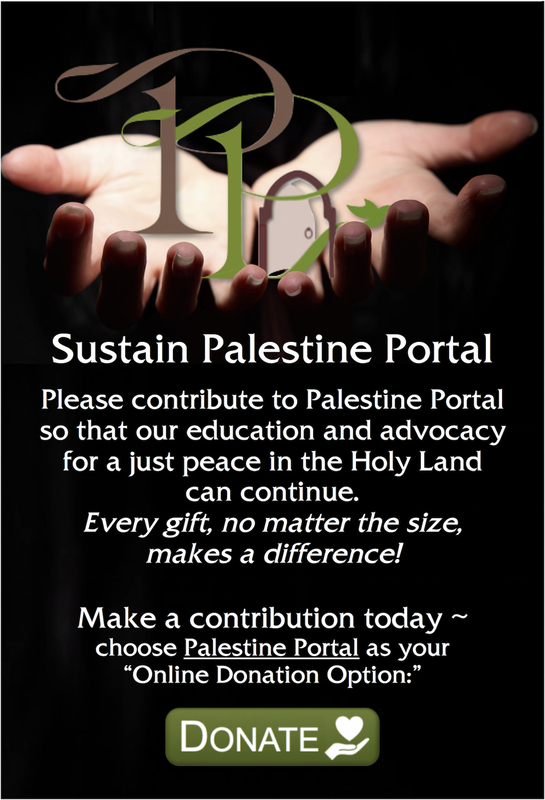 Subscribe to Portal News for periodic updates on Palestine Portal!